A lemon potholder for a friend. This was the first time I did curly quilting and it was super fun but things got a bit crazy at times! A scarf for Claire's friend. I didn't have any fleece so I used flannel for the backing. It's not often you'll see me use hot pink and purple! 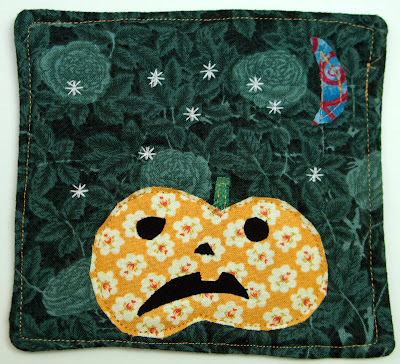 And Claire's first fusible web applique project. 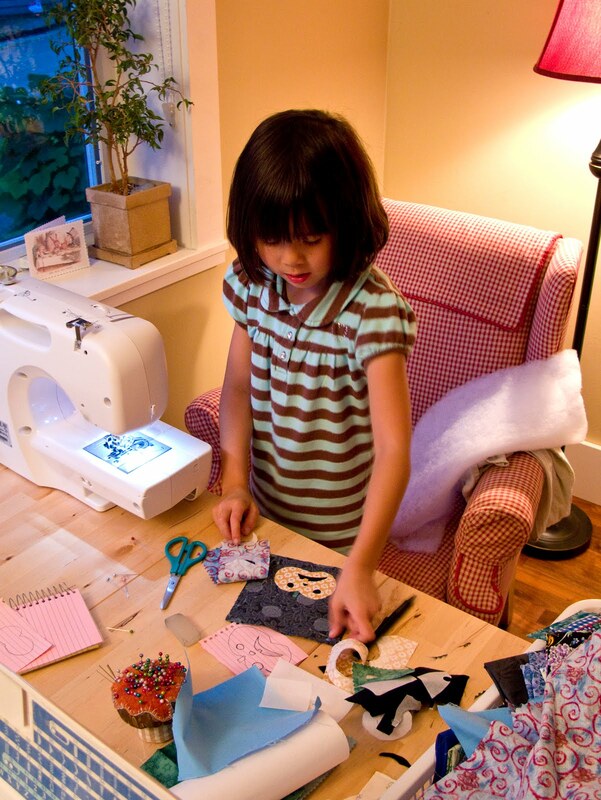 I helped her a bit with the ironing and sewing but it was her first time using a real sewing machine. She had fun sewing the stars with my Elna. She was quite proud of her finished coaster and I was quite proud of her! 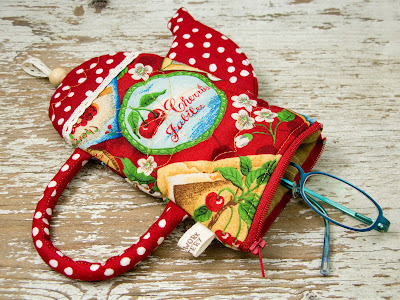 A teapot eyeglass pouch - it's something amazing!! Seus trabalhos são lindos! Fico admiriada com tamanha criatividade e perfeição. Such a cute, colourful creations! Great work! 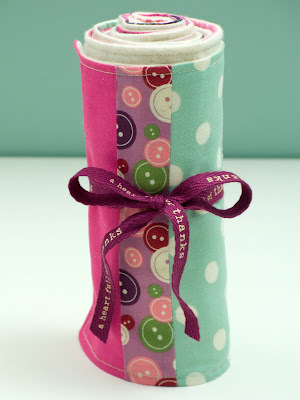 Great blog full of beautiful creations you have! My compliments. So cute! I love your work!!! I love my lemon potholder - thank you! And that teapot eyeglass pouch is adorable! Lovely work ! !Great colors fabric. What a great collection of pretty gifts. I particularly love the lemon potholder - great shape! That Claire is the sweetest - what a fantastic coaster she made. What great gifts - all one-of-a-kind originals! Your work is so neat and cute! How adorable your Claire looks surrounded by her sewing things. Such concentration! Love all your work, Laurraine. So distinctive and the touches of embroidery really add to your designs. I love the curly quilting. I need to do more of that. I forget how cute it is. But it is somewhat hard to control. The teapot case is amazing. I adore it. thanks for sharing your beautiful creations with us! the lemon potholder- genious. 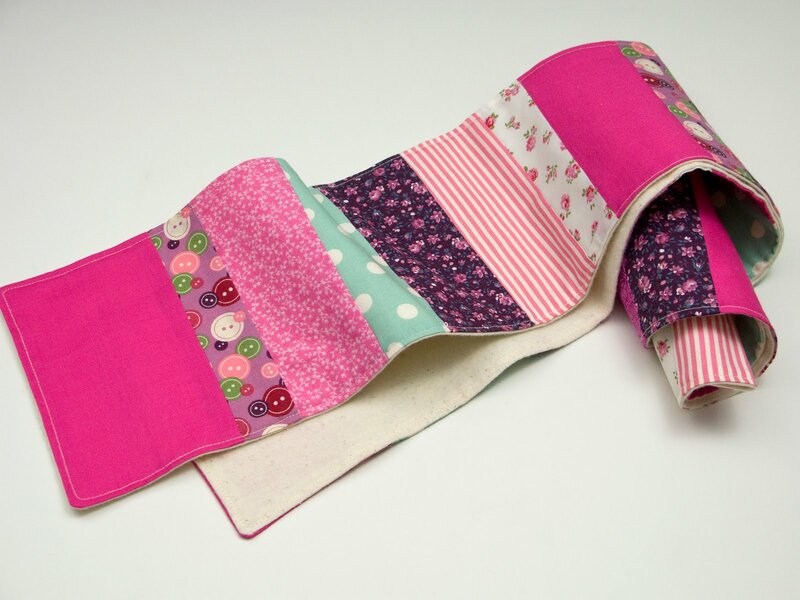 and the first mini quilt..... i love it! I admire all the work, they are wonderful. Wow! I accidentally came across your blog, and fell in love with it! Thanks for inspiration! Thanks again, your crafts are wonderful! I checked out the Trunk show. Your work is just stunning. I was wondering would you be willing to make a custom piece for me? Olá! Seu trabalho é lindo! Perfeito! Amo patchowrk, mas não sei muita coisa! Já coloquei algumas fotos dos seus trabalhos no meu blog, claro que com os devidos créditos, espero que não se importe! Parabéns! 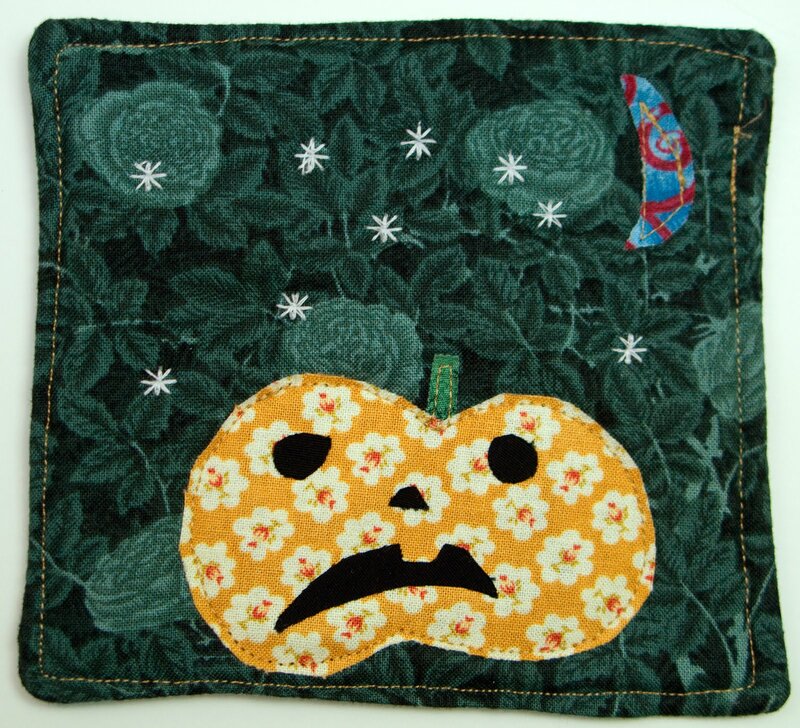 Your blog has been quiet, and I guess you are busy making pretty quilts! Do your husbands family live in Japan? If so, I hope they are fine. Please do me a favor! !Can you,such a popular blogger, wite about Tsunami, the earthquake in Japan? We need help! we need money! We need love. These all are very good gifts collection. Such a very nice to share with us, I like the first and second one. I really like your lemon shaped trivet. 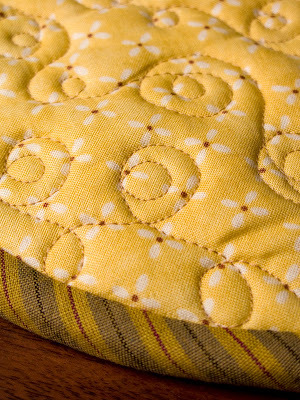 The quilting lines are so pretty. 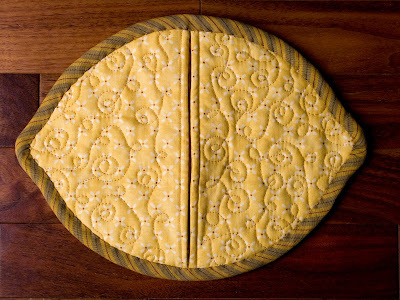 The lemon shaped trivet looks very beautiful and such a superb to share with us, awesome work. The teapot eyeglass is very beautiful. I love it. 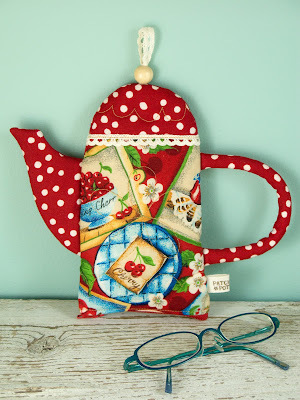 What a lovely blog with stunning crafts and pictures - thoroughly enjoyable. Thanks for sharing! Que lindo blog. Estou encantada. Parabéns pela arte. Cześć! Beautifull... I admire Your job!! Pozdrowienia z Polski!! Me gustan mucho tus trabajos. ¡Son preciosos!te felicito.